After graduating with a Bachelor of Law/Bachelor of Science from the University of Melbourne in 2001, Cameron started a design agency that produced work for global clients such as Atlassian, NEC, TEDx and Sydney Festival. When Google came knocking in 2007 he couldn’t resist the call and spent the next four years helping Lars and Jens Rasmussen — Cofounders of Google Maps — realise the design vision for their groundbreaking communication tool Google Wave. 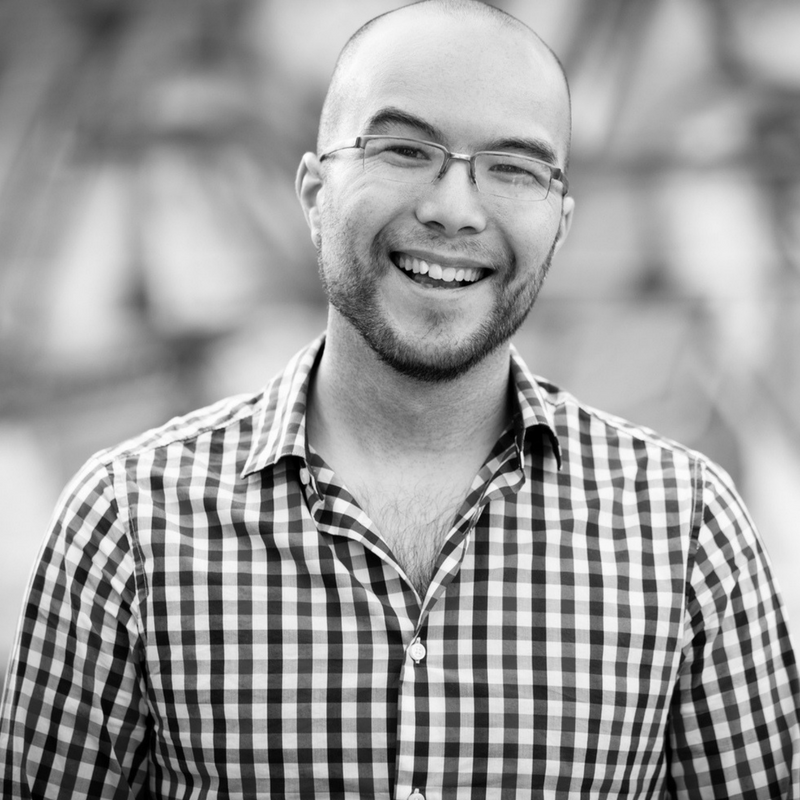 In 2011, he founded an ambitious email startup with two other Google alumni before meeting Melanie Perkins & Cliff Obrecht, and deciding to help them build the beginnings of Canva. He now leads the design and product strategy for Canva’s apps, which grew from 1.5 million users to over 7 million users in 2015 alone. Amy Cosper is the former Editor in Chief of Entrepreneur magazine and the CEO of RadicalUpstarts. She has been reporting and commenting on the world of entrepreneurship for 12 years. Cosper is an evangelist for innovation and disruption around the globe. She is keenly aware of the power of entrepreneurship on a cultural and economic level. Her mission is to spread the word and promise of these philosophies on a global scale and to make an impact by teaching these ideas. Cosper is currently working on a book and a documentary that explore the deep economic and cultural impact heralded by the global entrepreneurship movement. She is an award-winning editor and writer and strongly adheres to the idea that “on the other side of your fear, is your success.” And she would know, since she rides a Ducati and only does sports that require a helmet. Tim’s partnership with Merrick Watts, which began with a one-off comedy gig in 1996, remains one of the most successful and well known comedy duo’s in the country. Their on-air partnership spanned nine years and saw them turn radio success into television ventures – Planet Merrick and Rosso (Comedy Channel), Merrick and Rosso Unplanned (Nine Network), The B Team (Network Ten) and The Merrick & Rosso Show (Comedy Channel). It was in 2013 that Tim unleashed his talents into new, uncharted territory with his unique stand-up show Man about the House. The show, mixing storytelling, stand-up comedy, design, history and music saw Tim perform to sell-out audiences in iconic, modernist houses across Australia, New Zealand and the United States, including Sydney’s Harry Seidler Penthouse during the 2015 Spectrum Festival. Man about the House has also had seasons in Venice in the Australian Pavilion for the Architecture Biennale and for the London Architecture Festival. In 2016, Tim shared his enthusiasm for design and architecture with audiences in the two-part series Streets of Your Town (ABC). Written and hosted by Tim, the show took viewers on a journey into Australian suburbs and examined building history and changes in Australia. Althea loves ideas and producing them to life. A graduate in Biomedical Sciences, Althea decided against a career in medical research, and launched a youth community and party promotion business “The Youth Empire”, while still at University. In 2010, Althea launched a social media agency, The Barnett Group, which she successfully exited in 2012. Althea founded Gushcloud two years later with a seed investment of $500M USD by former cofounder of Alibaba, John Wu. Gushcloud originally launched as a social sharing platform. Gushcloud pivoted to becoming an influencer marketing company and quickly grew to become the largest influencer marketing network across South East Asia. Within 2.5 years, Gushcloud was acquired by Korea's largest and leading digital marketing group, Yello Digital Marketing Group, for a multi-million USD deal. Althea loves Singapore, young people and the movie, The Godfather. She hopes to leave behind an education fund, a museum, a hospice care for dementia and one day, launch a spacecraft for Singapore. Mark Pesce is a sought-after speaker and consultant in areas as diverse as fintech, education, government, real estate, media, and cryptocurrency. His journey as a bonafide polymath started in 1994, when he co-invented the 3D web interface VRML. Shortly after, Mark ventured into entertainment and storytelling, which resulted in a spot on the ABC’s series The New Inventors. At this time, he also began to write an award-winning column for global tech publication The Register. Mark has written six books, including The Playful World, VRML: Browsing and Building Cyberspace, and Hyperpolitics. Pesce founded graduate programs at the University of Southern California and the Australian Film Television and Radio School, holding appointments as Honorary Associate at the University of Sydney, and Honorary Adjunct at the University of Technology Sydney. Mark currently hosts two podcasts: This Week in Startups Australia; and The Next Billion Seconds - winner of the Best Technical and Scientific Podcast of 2018 - offering a window into the world of tomorrow. He has developed products for the consumer tech, medical, and FMCG market and worked with some of Australia’s top consultancies. Rowan enjoys the creative challenges of wrangling projects across a variety of industries. As head of strategy at Designworks, he leads clients through user centred discovery to identify and implement meaningful business opportunities. Designworks provide user insights, design development and manufacturing services to Australian and international clients. Rowan formed the approach that won the design tender for the 2018 Gold Coast Commonwealth Games Queen’s Baton. He guided the design team through a design thinking process that delivered the Queen’s Baton to Buckingham Palace; an experience that touched 1.5 billion people. Mark is the Global Head of Knowledge and Strategy at HASSELL, a leading international design practice. Originally from the UK, Mark's passion is to inspire people to be better than they believe they can be. Through a different leadership approach, questioning today’s methods by providing alternative possibilities and solutions, Mark strives to bring positive change and results to everything he does. As a business leader Mark has owned numerous companies and ventures, and his infectious enthusiasm, leadership style and dedication to questioning traditional thinking sets him apart. His passion for design, linked to solutions for true leadership in a digital age drives his inquisitive nature for change. A finalist for the 2016 Institute of Managers and Leaders Leader of the Year, Mark is committed to people and their advancement. Mark is also a mentor and coach, passionate in developing the next generation of game changers. Rachel Burke is a multidisciplinary artist and designer based in Brisbane, Australia. Creating specialty, wearable art pieces and communal art projects (including her most popular, Apomogy), Rachel documents her creative journey and daily art practice on her Instagram page @imakestagram. Known for her vibrant, tactile designs, Rachel's style is immediately recognisable and is sort out by clients across the globe. Rachel's latest art project is a series of tinsel clothing and decorations titled 'Tinsel Town.' The Instagram worthy creations were inspired by Rachel's love of unusual juxtapositions - the mundane mixed with the extraordinary. Rachel has worked with many clients to create immersive 'tinsel experiences' including ACMI, Pottery Barn, West Elm, Melbourne Central and more. 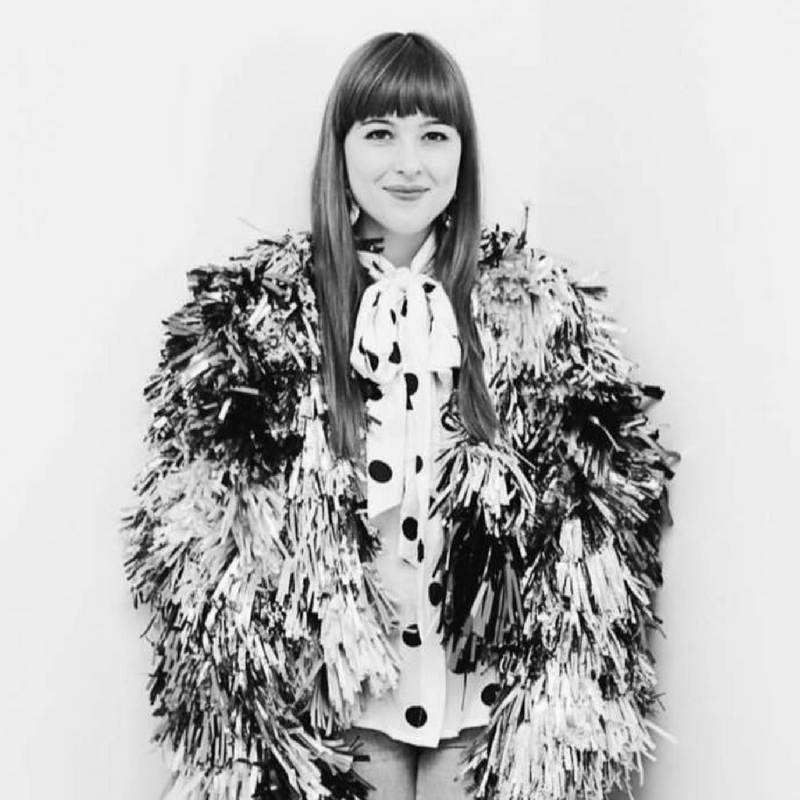 Rachel has created custom tinsel creations for many notable performers, including Kesha, Meghan Trainor, Sarah Blasko, and Danii Minogue as well as comedian Em Rusicano and actress Justine Clarke. Rachel has just released a new DIY craft book 'Be Dazzling', published by Hardie Grant.